Our ceramic studio offers a large variety of pieces, from children figurines, home decor, to kitchen items. We have the largest selection of colors you can find in a pottery store! Enjoy a great time creating unique useful pieces for your use or as gifts. We also offer birthday parties, bridal shower, dates, proms, and corporate teamwork activities. Create your own Ceramic Masterpiece! We offer over 150 different ceramic pieces, children themed, home decor, kitchen, and more..
We provide idea books, stencils, tracing paper, sponges and many other creative tools to assist you, and also workshops on specific days. Choose from 60 vibrant colors, as well as stencils, stamps, brushes, and techniques you can learn! MASTERPIECE PERFECT FOR HOME, OFFICE OR GIFT GIVING! Pick up of pieces painted by Wednesday are usually ready on Saturday morning! 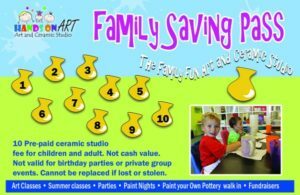 $8 studio fee plus the price of your pottery (includes UNLIMITED painting time, glazing and firing of your masterpieces). $5 studio fee plus the price of your pottery (includes UNLIMITED painting time, glazing and firing of your masterpieces). Take advantage of our Family Saving Pass! it makes your studio fee $3 instead of $8 for adults and $5 per children. Our facility is spacious and colorful, ideal for any special gathering, team building activities, and birthday parties. Ceramic parties for kids. 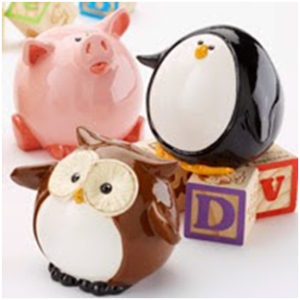 we have a large selection of kid’s items from beautiful figurines to useful pieces like cereal bowls, banks, mugs, etc. for more information on party packets please visit our link Parties for other inquiries please call at 801-451-7689. Every fourth Friday of each month, we offer a “Two for One” studio fee. Enjoy a relaxing, fun time as a couple while creating a unique piece.